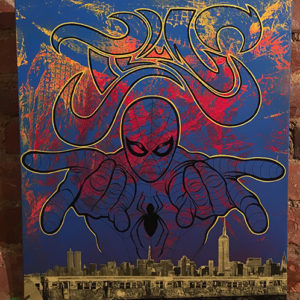 One of a kind original canvas painting of Spiderman by Adam ILLUS Wallenta. 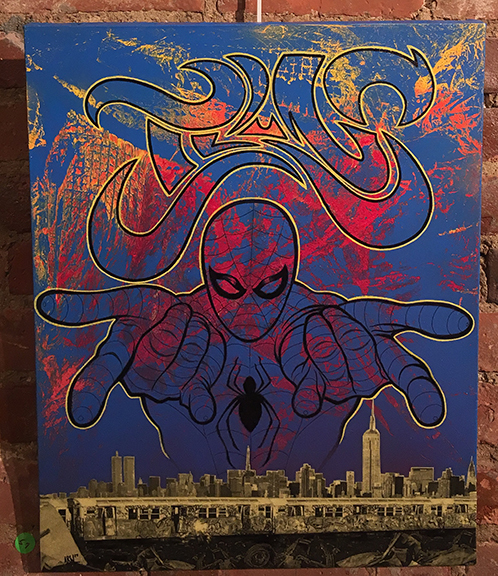 This painting was created for the HIPHOP and COMICS gallery show at Wallworks NYC. The canvas in 17×13, acrylic, ink and mixed media.